You have a chance to win a free license! Tweet about us and get any dashboard you like for free. Why build a mobile app using template? Giving consistent, yet engaging experience on mobile is more essential than any time, and it gives a true competitive advantage to businesses that get it right. 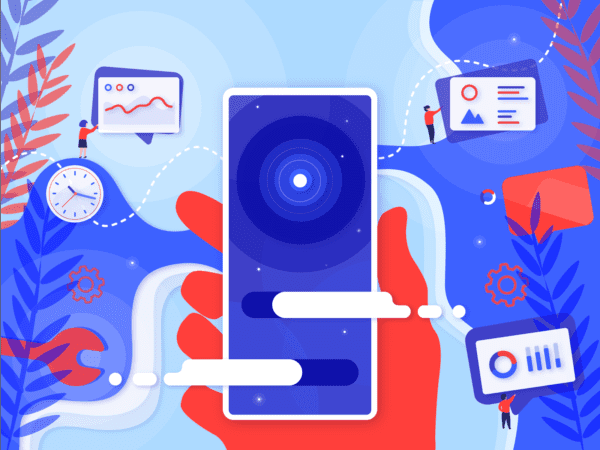 One of the most difficult decisions you must make when it comes to your mobile app is whether you are going to create it with the help of a template or create a custom app from scratch. When creating a new theme, developers keep in mind that it will be used for a variety of functions and that it will be used by people who have all levels experience in development. That means your template will usually come with lots of built-in components, widgets, options, a large amount of functionality. That will provide you with a certain level of flexibility in the process of creating your own design. Admin templates are not only relatively easy use, but this is also a cost-effective solution for your business. As you can see the price of the template is typically quite low especially on a single license. Usually, the cost of setup and development is become smaller by maximizing the use of the admin template’s built-in features. It can save you up to 20 000$ depending on the type of app. Even if you choose to hire a company to create the app for you instead of doing everything yourself, the time which has been saved by using templates compared to custom app designs will definitely save you lot of money on development. Nowadays, as we know all well-known mobile apps are built considering the opinion of UI/UX designers. With very attractive and clean looks, app users prefer easily and quickly navigate applications that usually can solve their problems and problems of their family with fewer interactions and efforts. Created by professional UX/UI experts mobile app template not only looks astonishing and stunning but will also provide usability on a high-reaching level. The design itself can be easily customized and all aspects of the application are included: from navigation to app management. A template can be integrated with any service such as a website analytics program, a CRM system, an email system, etc. What is good is that mobile theme can easily be integrated with different CMS, for example, YouTube, WordPress, and Facebook. It can be customized in the way you designed your desktop theme. In general, it can be customized for a broad range of designs. A mobile template can definitely provide an essential part of your design. The theme for the app would complete the backgrounds, subsequent navigation layouts, and color schemes. There is an application for every task or problem. So everything needs a mobile app. And a starter kit is a good way to jump-start your own development project or to study from the work of an expert. You owe your time to yourself, it is valuable, and it is better to get a head start on your next project to have another competitive advantage.